"The phenomenon we now call "speckle" was first sketched in 1877 by Karl Exner. 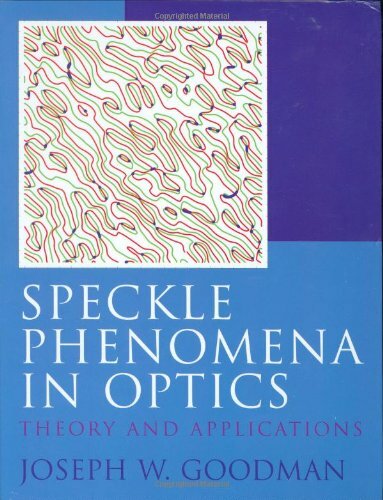 Speckle was re-discovered in the early sixties, following the invention of the laser, and has continued to fascinate scientists by its infinitely variable characteristics. In the mid-1960s, a young Joseph Goodman, working at the Stanford Electronics Laboratories, wrote a detailed, but unpublished, report that established the basic statistical properties of speckle. Forty years later he has written the most comprehensive book on the subject. This is the definitive textbook, an instant classic, written by a master of his subject who is also a dedicated teacher." "If you work in optics you quickly learn that you can either fight speckle to try to get rid of it or you can take advantage of speckle for many applications. 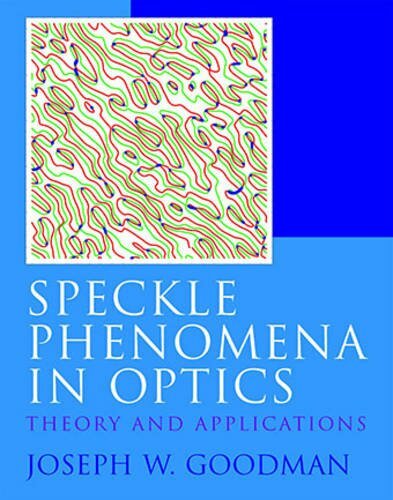 Speckle Phenomena in Optics tells it all. It gives a detailed description of speckle, explains techniques for suppressing speckle, and it gives several applications of speckle in imaging and metrology. Once again, Joseph W. Goodman has provided us with a clearly written technical book that will become a classic in its field." 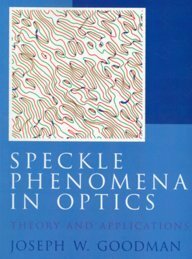 "A fascinating consequence of optical coherence, speckle has become one of the major optical phenomena. Most often, but not necessarily always, associated with laser illumination, it is relevant for the basic understanding of scattering phenomena and for application to high technology alike, from the Brownian motion to integrated circuit lithography and to the imaging of the sky by large telescopes. 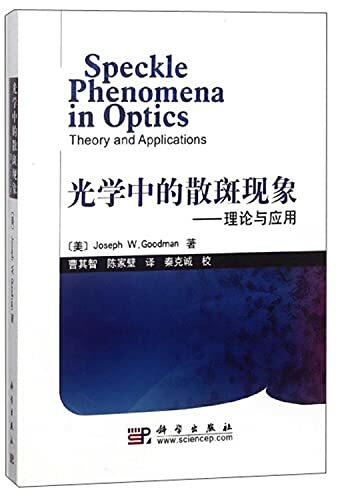 I thoroughly enjoyed reading this book, which broadly encompasses the conceptual and mathematical tools relevant for analyzing speckle phenomena together with all major applications. Its readers will benefit from J.W. Goodman's fine understanding of physics and his famous skills as a teacher."